For some, the phrase “non-GMO movement” conjures images of stalwart farmers defending their farms from biotech giants. Others imagine citizens or politicians standing up for our right to know what’s in our food. And it’s true — lawsuits have been filed against farmers, and groups in thirty-two states are working toward GMO labeling laws. But while the court cases grind on and the political battles are waged, we all keep eating. Our farmers keep growing crops, and weekly, we go to the store for greens and groceries. Check out the new signs in our Produce Department! 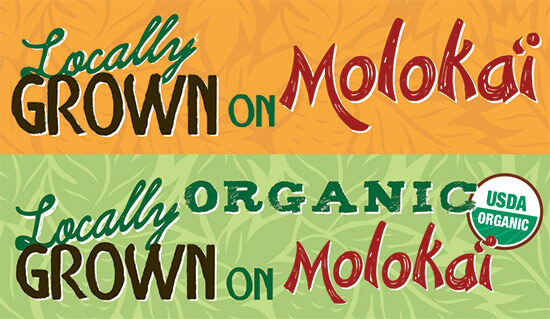 They celebrate the values on which Down to Earth was founded: Local, Fresh, Organic, and Natural. Last Week to Win a Gift Basket filled with Fair Trade items! Celebrate World Fair Trade Day by taking advantage of the last week to purchase our special fair trade items on sale! We're offering great savings on products such as Dr. Bronner's soaps and Guayaki teas. You'll find these brands in the Fair World Project section at all Down to Earth stores through May 15th. Read more about Last Week to Win a Gift Basket filled with Fair Trade items! Down to Earth Organic & Natural recently announced it will begin requiring any products with ingredients containing genetically modified organisms (GMOs) to be labeled as such by 2018. The decision follows a similar announcement by Whole Foods. "Whole Foods' announcement is a game changer," said Down to Earth Chief Organic Officer Mark Fergusson. "It marks a big victory in the move towards the labeling of genetically labeled foods. Down to Earth will monitor and review the situation and may move our implementation date earlier if that becomes possible." The Natural Grocery Company, Good Earth Naturals, Sundance Natural Foods, Nature’s Storehouse, Terra Organica and Bargainica, Down to Earth Organic and Natural. These are the retailers, among so many more, that I think of when it comes to taking a stand against GMOs. Among the bills still alive in the legislature is a measure concerning the labeling of food that contains genetically modified organisms—or “GMO’s.” But some organic grocers are taking the matter into their own hands. Down to Earth's success was the topic of a presentation by Mark Fergusson, Down to Earth Chief Organic Officer (CEO/CFO) during a panel discussion held by the Maui Business Brainstormers (MBB) and Maui Native Hawaiian Chamber of Commerce (MNHCoC) at the Maui Tropical Plantation in Wailuku on Feb. 27th. Our new line of delicious Super Smoothies and Fresh Juices is now available in the Down to Earth Deli at all Oahu locations. They're a refreshing, healthy choice for breakfast or as a treat any time of the day. The tasty blends of the new Super Smoothies are simply creamy and provide a terrific boost of energy. Choose from Kreamy Kale, Mocha Mixer, Berry Blaster, Powerful Protein, and Island Sunset. (12 oz. $5.99, 16 oz. $7.99, 24 oz. $10.99). The push for better disclosure about food products containing a genetically modified organism has grown more heated and energetic this year, with the introduction of state legislation to require labeling stating that the product contains GMOs. GMO Labeling Update: Progress Galore! Read more about GMO Labeling Update: Progress Galore!